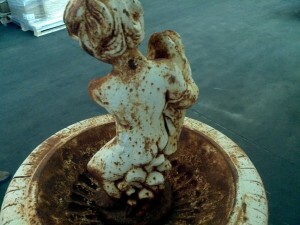 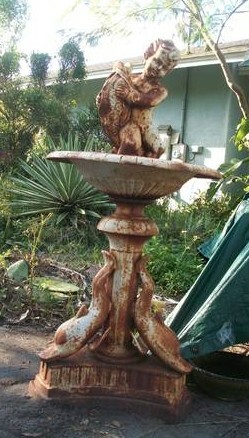 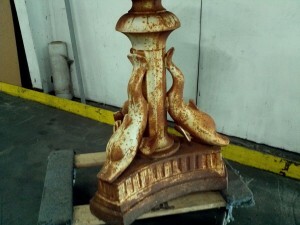 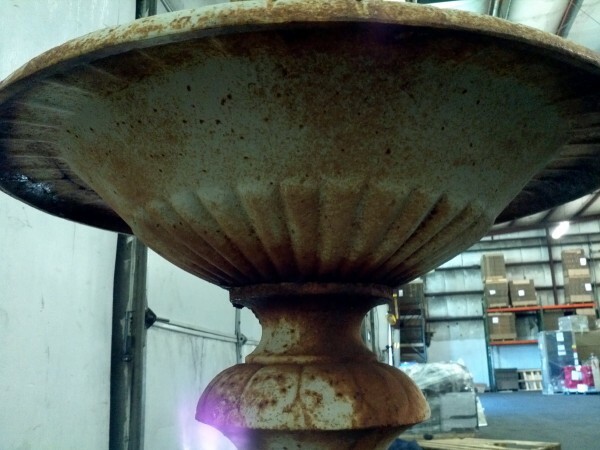 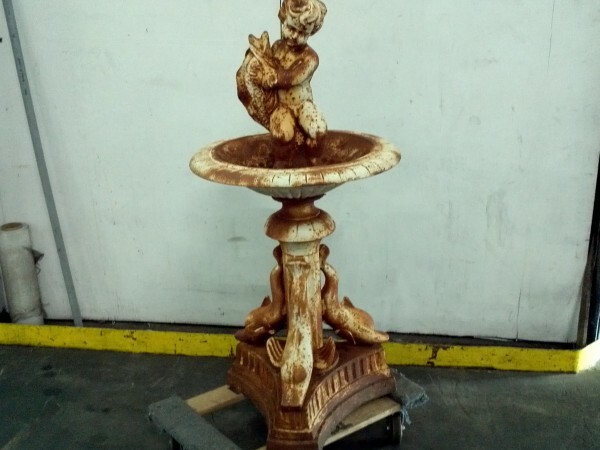 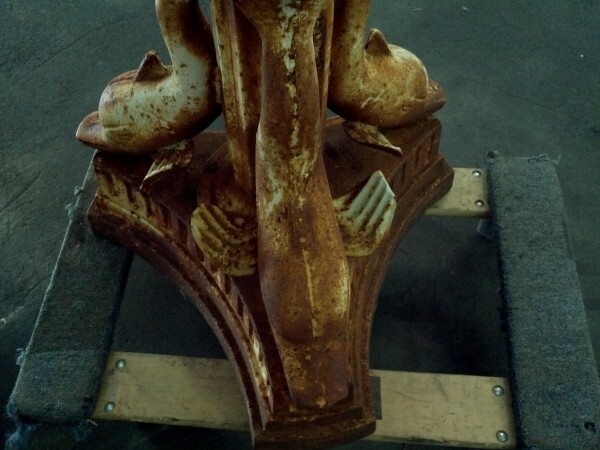 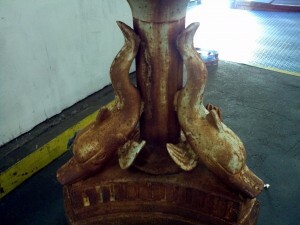 Massive old antique cast iron garden fountain in as found condition. 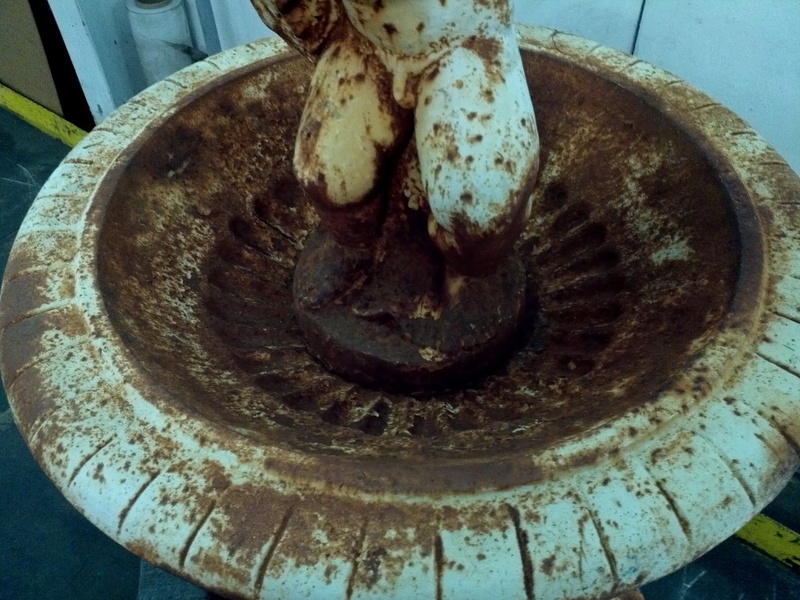 Nice old patina with a repaired crack about 7″ on the outer rim. 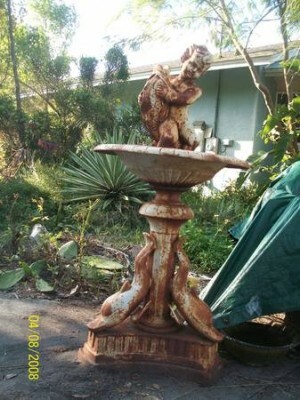 Fountain measures 45″ tall x 24″ wide with a dolphin motif. 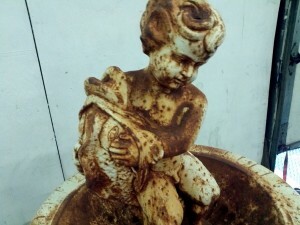 Would make a nice addition to any flower garden……….